So I'm using a Dolphinbar as well as a real Wii Remote Plus and I've run into a little dilemma. I discovered a workaround but it's annoying none-the-less. Basically the issue is the games do not detect the presence of a Wii MotionPlus unless I fiddle around with plugging in an accessory. 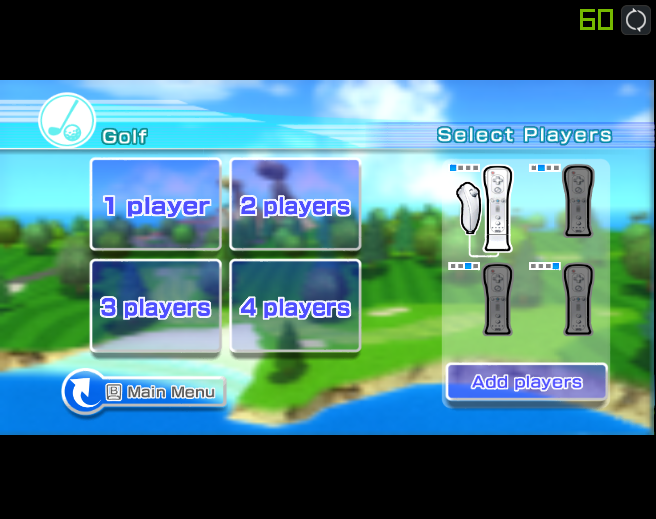 I plug an accessory into my Wii Remote Plus before the game is started and leave it connected until the game detects the presence of the Motionplus (in the case of Wii Sports Resort, it's the sport selection screen [as long as you've played through the intro that happens the very first time you launch the game].). Once the MotionPlus has been detected by the game, I can remove the accesory. NOTE: With this second workaround, the accessory doesn't HAVE to be plugged in the moment the Wiimote reconnects. As long as it's plugged in before the little "dling" noise is made, it'll then detect the MotionPlus. These are the only two methods I've found to make it work. Oddly enough, the little "dling" noise after connecting is played properly from both the controller and the game if I have the accessory connected before it plays, but if I don't have the accessory connected then the controller's speaker only outputs a small amount of static instead of the full sound effect. I can record a video of this if someone wants it, as it seems odd that when it's not detecting the MotionPlus it's also not properly playing the speaker data, whereas when it is detecting the motionplus (as I have the accessory plugged in) the speaker sounds fine. Here's a demonstration of the second workaround (ignore the little Nvidia framerate overlay). I plug an accessory into my Wii Remote Plus before the game is started and leave it connected through the menu. I disconnect it before I go to a screen that detects the presence of the MotionPlus. The MotionPlus will not be detected. I plug an accessory into my Wii Remote Plus while on a screen that detects the MotionPlus. NOTE: Interestingly enough, if I go to a minigame that requires the nunchuck (e.g. archery) it wont detect the presence of the nunchuck unless I do one of the earlier workarounds. After I've done one of those earlier workarounds, I can hotplug the nunchuck and the game will detect if it's there or not without me having to reconnect. To be clear, this is how it happens with Wii Sports Resort. On the other hand, Skyward Sword wont detect the MotionPlus at first, but after any detection of it in any game (including Wii Sports Resort), it will detect it right away until Dolphin is restarted. Once I restart Dolphin it wont find the MotionPlus again until I do something to get it detected. In the case of Skyward Sword, if the MotionPlus hasn't been detected at all yet and it's the first game I start, it will tell me to connect both the nunchuck and the motionplus. If I connect the nunchuck it still wont detect either. If I restart the game with the nunchuck plugged in, it'll then detect both and be fine until Dolphin is restarted. I just find it odd that Skyward Sword only needs a single detection of the MotionPlus in any game to be fine, yet Wii Sports Resort wont detect it unless I do one of those workarounds every time I launch the game. Running on Dolphin 4.0-9442 x64. All the info on my profile is up to date for other hardware info. yep, this is a bug in Dolphin. Just have to plug stuff in and make it work. I don't know what's wrong. (06-12-2016, 01:11 PM)JMC47 Wrote: yep, this is a bug in Dolphin. Just have to plug stuff in and make it work. I don't know what's wrong. For clarification, are you saying that this is a known bug, are you're just confirming that this is also happening for you, or are neither of these the case? I couldn't find a bug report but I don't want to open an issue if this is a known bug. Not the exact same issue, but I'm also having issues with Motion+ games. For example, in Skyward Sword, the Nunchuk must be unplugged when I start the game or it will not detect the Motion Plus. It's quite weird, and disconnecting then reconnecting the Wiimote is usually enough to work around that. (06-12-2016, 03:01 PM)danne2 Wrote: For clarification, are you saying that this is a known bug, are you're just confirming that this is also happening for you, or are neither of these the case?